An enormous amount of innovative energy is now pouring into energy – alternative ‘green’ energy sources, wind, solar, etc. Here are 10 things energy innovators need to know about oil, still the world’s major source of energy. 1. American oil production peaked at 11,297,000 bbls/day in 1970, and has gone downhill since. In 2007 America produced only about half that, or 6,879,000 bbls/day. 2. Saudi Arabia is still the world’s largest oil producer, producing 10,413,000 bbls/day in 2007, down from 11,114,000 bbls/day in 2005. 3. Russia ranks #3 in oil production, behind Saudi Arabia, and America, with nearly 10,000 bbls/day in 2007, very close to Saudi Arabia. 4. Iran ranks fourth in oil production, with 4,493,000 bbls/day in 2007. 5. Iraq (in which America placed great hopes for higher oil production) produced just under 2,000,000 bbls/day in 2007, far below its production peak of 2,800,000 bbls/day in 1989, before the First Gulf War. 6. Canada and Mexico produce, together, nearly as much oil as America, and supply most of it to their huge neighbor. 7. America consumes 20,600,000 bbls/day (2007), leaving it with a shortfall between production and consumption of more than 14,000,000 bbls/day. 8. America’s oil imports have grown from a small 2,500,000 bbls/day in 1965 to a massive 13,800,000 bbls/day today (2007). This increase was completely predictable, given forecasts of oil field discoveries, development and production history. So, America has had 43 years to prepare an energy policy to reduce or even prevent U.S. energy dependence on nations (like Iran) that are hostile to it. 9. Failure to build such a policy, and failure to invest sufficiently in innovation for alternative energy sources, must rank as one of history’s great innovation failures, and policy failures, of all time. Democrats and Republicans share the failure alike. 10. Total world production of oil in 1965 was 31,800,000 bbls/day; in 2007, it was about 81,533,000 bbls/day. So oil production has risen by 156%. So has oil consumption. The result can be seen daily – just look at your outdoor thermometer. * financial reputation of firms. Among the winners: Qingdao Haier, an appliance maker now campaigning to make Haier into a powerful global brand, as Sony did in the 1970s; and Lenovo Group, the company that bought IBM’s PC division, moved its headquarters to New York, left Stephen Ward as its CEO, and is now rapidly becoming a powerful global player. According to the Wall Street Journal, “Chinese business leaders approach innovation differently than in the West: by aiming to boost revenue, not costs, and by making incremental rather than fundamental improvements.” Chinese innovators often seek ways to adapt global products to local market needs, in ways that foreign firms cannot. For instance, the head of Qingdao Haier ordered that his firm’s washers be capable of cleaning vegetables – a common practice in China, not so common abroad. Take, for instance, Baidu.com. This is a search engine. In China, 60% of Internet searches use Baidu, rather than Google. Defeating Google is no easy task. Baidu does it, in part, by using a different corporate structure. According to the WSJ, some 60% of Baidu’s employees are in sales and marketing (the comparable figure for Google is about 40%). And Baidu employees’ average age? Believe it or not: 26. Many of their innovators are high school students, whizzes at computers, who are too young to formally hire. China Merchants Bank found ways to tap into the growing middle class. Focus Media Holding Ltd. slashed through media clutter by simply placing ads in elevators (nowhere to run in an elevator)…. It is well known that open free-market capitalism is a powerful engine for creating wealth. Much of that wealth is generated through innovation. So innovation itself is an engine for capitalism’s wealth engine. But capitalism, too, is a focus of innovation, not just the products and services that free-market capitalism generates. What will be the form of capitalism that wins the evolutionary battle for survival? In the ‘boxing ring’, we have American capitalism, a rather brutal form of capitalism, which has almost no safety net, leaves one American in six without health insurance, and which has offshored its production without offering production workers viable alternatives except minimum-wage Wal-Mart jobs. Taxes are so low, governments lack the funds even to maintain infrastructure. Facing it we have French, German, Danish, Norwegian and Finnish capitalism, with high taxes and high safety nets. Inefficient? Wasteful? Sluggish? Perhaps – but humane. Victims are not blamed. And of course we have Asian capitalism – the Chinese variety, for instance, which features significant economic freedom but very little political freedom. We have seen rapid convergence in social and economic systems. When the Berlin Wall fell on Nov. 9, 1989, nearly all countries in the world rushed to embrace some form of free-market capitalism. However, enormous differences among the various types of capitalism remain. There is a highly competitive world market in ideas, not just in goods, services, capital, technology and skills. Just as companies scour the world for best practices, so do people and political leaders. We do not yet know what best-practice free-market capitalism is. Which form of capitalism will ultimately triumph? The battle seems to be between efficiency – the American form is highly efficient, though brutal – and equality – the French and Scandinavian models are perhaps less efficient, in France’s case much less efficient, but are very humane. My personal hope is that fairness and humanity will win – and quickly. Make all the written information available, all the time, anywhere, to anyone. Now Google wants to add to “written”, the adjective “unwritten” or “tacit” as well – knowledge in people’s heads, but not written down. By asking people to write down this information, Google is extending its vision. The founders of Wikipedia say they do not feel threatened, because the Google wiki will be more like a blog than a Wikipedia. Time will tell. Most of the time, great innovative organizations do not know what they know. Because their creative people are so busy creating, they never take time to document what they are doing and how they are doing it. Much of this valuable information is later lost, when the innovators leave or retire. Does your organization have a wiki? Can you set up one? Can you persuade your developers to document what they do while they are doing it? 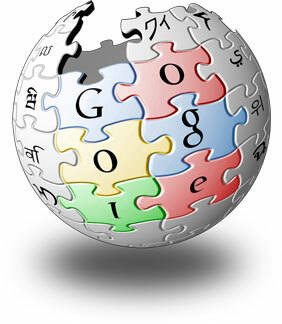 Don’t wait for Google’s wiki. Build one of your own. You will find it is a powerful tool for building the new generation of innovators. The latest Batman sequel, The Dark Knight, has opened and is breaking box office records, with over $200 m. in revenue grossed so far. It is the largest gross for a movie opening in history. What can innovators learn from Batman and its director Chris Nolan? * Break the rules. Batman is a ‘comic book’ movie. Movies in this genre have a formula. They have villains, but the villains are not that villainous, because viewers want to be amused and entertained, not frightened. Nolan broke the rules. His comic-book movie raises real issues of ethics (can you break the law in order to enforce it?). His villain, The Joker, played by the late Heath Ledger, is truly unredeemably evil. Comic-book movies usually do not win Oscars. The Dark Knight may just break this tradition. Nolan was unafraid to make a serious movie out of a genre that previously has not been at all serious. * Be like Bizet, not like Henry Ford. Bizet wrote the opera Carmen. Carmen was a rule-breaker, a game changer. Before Carmen, there was Comic Opera, and there was Grand Opera. Bizet combined them. Audiences were puzzled and booed. But in the end, they got the idea. Carmen became one of the world’s best-loved operas – though Bizet did live long enough to see this happen. The Dark Knight may also have become a game-changer, and we may see more comic-book movies that treat serious issues and that make people think. The Ford Motor Co. is celebrating the 100th birthday of the Model T, first developed by Henry Ford in 1908. The Model T was a smashing business innovation, of a kind that made competitors irrelevant, in Gary Hamel’s phrase. After Henry Ford invented the assembly line, no other business model for car production could compete with it. Ford changed the rules of the game, not only for cars but for all manufactured products. Ford’s business innovation made Ford the dominant car-maker for 20 years, until 1928. In that year, a business genius named Alfred Sloan introduced another game-changing innovation: Cars with different colors, styles, engines, and with closed bodies (the Model T was open). Henry Ford missed the boat. He failed to change his business model in time to meet competitive threats. Ford went downhill until 1965. And today, the company he founded is losing massive amounts of money and its existence is threatened, as is General Motors – the company Sloan founded. Both Ford and GM have lost the innovative talents of their founders. They have forgotten their core values. They have forgotten their history. They no longer make beautiful cars. They are no longer run by executives who live, eat, sleep and dream cars. And they certainly do not seek game-changing innovations, as Batman’s Chris Nolan does. Instead they pursue cost-cutting strategies, and those never ever sustain marketplace success by themselves. “That just ain’t cricket!” This is a common English expression for anything that is not precisely according to rules. It comes from the fact that the game of cricket is played by gentlemen according to written and unwritten rules, without deviation. Cricket is one of the world’s oldest organized sports, with history going back to the 16th C., and with international cricket played since 1844. One would expect, therefore, NOT to find innovation anywhere near the cricket ground. Twenty20 is a form of cricket, originally introduced in United Kingdom for professional inter-county competition by the England and Wales Cricket Board (ECB), in 2003. Both teams have a single innings and bat for a maximum of 20 overs. A Twenty20 game is completed in about two and half hours, with each innings lasting around 75 minutes, thus bringing the game closer to the timespan of other popular team sports such as football. It was introduced to create a lively form of the game which would be attractive to spectators at the ground and viewers on television and as such it has been very successful. The ECB did not intend that Twenty20 would replace other forms of cricket and these have continued alongside it. The game has spread around the cricket world. On most international tours there is a Twenty20 match and most Test-playing nations have a domestic cup competition. The inaugural ICC World Twenty20 was played in South Africa in 2007 with India defeating Pakistan in the final. But – guess what. The nimble Indians (India, as a nation, is utterly insane about cricket -–life stops there when an important international match is being played) grabbed the idea and created a hugely successful Twenty20 professional league. Now Britain is about to do the same, creating a televised British league. Conclusions? Even in the most conservative hidebound product can be innovated. To do so successfully, think ‘in the box’. The ‘box’, in this case, is television. You cannot really televise a five-day match! But you can televise a Twenty20 two-hour match. And without television revenue, you do not have a real product. Once you assume that the rules of cricket must conform to the constraints of TV – Twenty20 follows instantly. Interestingly, the British invented Twenty20, but the Indians were first to make big bucks from it. How many times have we seen that happen, decades ago, with American inventions and Japanese commercialization! One Day Cricket was initiated by Kerry Packer – the Australian Media Mogul. As you suggested, he did it to make more money out of television advertising. The Brits of course could never have taken such a step. It created a huge up roar at the time as did night cricket. He even had the gall to dress the players in coloured uniforms! In retrospect the move ensured the ongoing survival of the game. One correction: As a child I remember sweating it out in front of the box for 5 days watching Test matches against England – it can be done! Breakthroughs often occur, both in research and product innovation, when innovative pioneers succeed in combining two disciplines, or technologies, not previously integrated. For example: The Japanese engineer who combined digital photography with cell phones. Or, in the early 1970s, when Israeli scholars Amos Tversky (z’l) and Daniel Kahneman brought models and methods of psychology to economics. Innovators can learn much from neuroeconomics. Here is one small example. Neuroscientists have found that there is a specialized area in the brain (possibly, in the prefrontal area known as Brodman 10) where ‘theory of mind’ (i.e. knowing how another person thinks, and how another person thinks about you) is processed. Neuroscientists believe that some people have this ability innately, genetically. Their Brodman 10 brain centers become very active (as shown by the color red on function MRI images) when, for instance, some subjects play strategic games, requiring them to assess other players’ moves. For other people, the same brain center remains cold, color blue. Successful innovation management requires innovators to predict how competitors will react when our innovation is introduced to the marketplace, and to prepare strategic responses. What are our competitors likely to do? they ask. This is the business context of ‘theory of mind’ and Brodman 10. • Am I good at accurately anticipating the responses of other people? Or am I very poor at this? If poor, can I strengthen this skill through practice? • If I am poor at it – How will I find others, and make them part of my team, who are good at it? You can successfully complete 9 of the 10 innovation stages, but fail at the 10th (market launch), if you lack “theory of mind”. Analyze yourself – and prepare in advance. *Colin Camerer, George Loewenstein & Drazen Prelec, “Neuroeconomics: How neuroscience can inform economics”, in: S. Maital, ed., Recent Advances in Behavioral Economics (Edward Elgar: Cheltenham, UK, 2007). **Special thanks to Ben Gilad, author of the forthcoming book Business War Games, for providing the insight described in this blog. University of Chicago economist Gary Becker won the Nobel Prize for economics in 1992, in part for his remarkable insights into the economics of the family. Becker showed how families are small production units in which family members engage in trading services, for mutual gain*. But if families are production units, they can also be innovative units. • What changes could we make, in the way our family organizes its life, that would make things better for everyone? • What is the one thing that most bothers each family member, about how the family is organized and operated? • What are the core competencies of each family member, and how can these be better utilized for the benefit and gain of all? • What new things can be done, as a family, that will enrich our lives? • How can our family share its many blessings, with other people, in ways that enrich the family’s life as well as the lives of others? A family, someone once said, is the ‘we’ of me. If there is creativity in ‘me’, why not spread it to ‘we’? And indeed, is Tolstoy right, that ‘happy families are all alike’**? Or are happy families all different, because they find unique innovative ways to enrich their lives and broaden their horizons? *Gary Becker. The Economic Approach to Human Behavior. Paperback: 320 pages. University Of Chicago Press (September 15, 1978. What the New York Times called “one of the greatest tennis matches ever played” between Rafael Nadal and Roger Federer ended last night, with Nadal winning a five-hour match (in near darkness) 6-4, 6-4, 6-7 (5), 6-7 (8), 9-7. It was the longest singles final in Wimbledon history, and without doubt the best. Nadal took the first two sets. Federer fought back doggedly to win the next two, in tie-breakers. The fifth and deciding set was tied 6-6. Normally there would be another tie-breaker. But not at Wimbledon, where strict rules prevail (players without exception must wear all-white clothing, for instance). There, the final set is played out, even in doubles, until one of the players leads by two sets – even if it means playing to 17-15. What can innovators learn from this amazing final – apart from courage, stamina, persistence, will to win, character and fierce determination, shown by both players? On Israel’s Channel 55, the commentary (in Hebrew) was awful. Both commentators kept saying, “lo ye-amen” (unbelievable) or simply Wow! But one commentator did note a key fact. For instance, the umpire chastised Nadal for taking too long with his service. This might have rattled many players. But Nadal remained totally focused. He had a game strategy, he stuck to it, and did not change it even when he lost two sets. He was completely immersed in the present. This is true of innovators. They are fueled by dreams of some outstandingly successful future. This of course is important; an energizing vision is crucial. But it is far more important, after the vision is established, to shelve it and focus intensely on the present – on what is required at the present moment in order to implement the future vision. Forget past failures. Forget future dreams. Focus on the practical things you need to do today, now, to succeed. That is what Nadal did. And because he did it so well, it helped him fulfill his childhood dream – playing at Wimbledon, and ultimately, winning at Wimbledon. Can innovators help get the stalled Mideast peace negotiations back on track? There are two types of innovation: radical ‘blue oceans’, that create breakthrough innovations, and incremental ‘red oceans’, that create significant incremental improvements to existing products. At present, Israeli and Palestinian teams are negotiating a ‘blue oceans’ radical final settlement agreement. There is little hope it will be achieved, despite visits by U.S. Secretary of State Condoleeza Rice and even President Bush himself. The gap between the two sides is too large, and the degree of trust between the two is very low. Moreover, leaders of both sides, Ehud Olmert and Mahmoud Abbas, appear to have little support from their own people. In our forthcoming book*, my friend and co-author Gen. (ret.) Robert Dilworth and I propose what we call IRDI’s (‘immediately reciprocal diplomatic initiatives’). These are small incremental measures, in which one side ‘trades’ a trust-building initiative (e.g. removing a checkpoint barrier) in return for a quid pro quo (e.g. removal of a hateful message from a Grade One textbook). Over time, a series of these IRDI’s can build trust and build peacemaking momentum. I believe this approach to peacemaking is analogous to Nokia’s Finnish R&D strategy. Nokia invests substantial sums to develop incremental improvements to its existing products, eschewing, in general, blue ocean breakthroughs. As a result Nokia often misses technological ‘leaps’ – but quickly regains market leadership by its skill in focused incremental innovation. We see this happening now as Nokia takes on Apple’s iPod. Finland as a whole follows the Nokia strategy in its national R&D policy. Final settlement? We tried that at Madrid, Oslo and Geneva. Incremental steps toward a settlement? Isn’t it worth a try? We have little to lose. *Robert L. Dilworth and Shlomo Maital. Fogs of War and Peace: A Midstream Analysis of World War III. Praeger Security (with A-USA Books), forthcoming: Washington, DC. October 2008.